I really liked Sarah Waters' writing, beautiful prose. But I found the plot to this to be very cliche and predictable with characters I found to be dull and cardboard at best, and downright unlikable at worst. Because of this, I had a really hard time sympathizing with their troubles and struggles when they happened later on in the book. 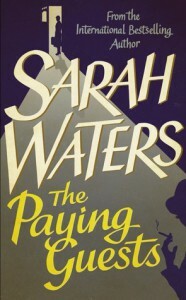 I'm definitely interested in reading more Sarah Waters, for her writing alone, since if many other authors had written this story, I'm pretty sure I wouldn't have even finished it at all, that and the performance on the audiobook was also fantastic.